At Farber & Otteman Funeral Home, our caring, compassionate staff has the experience and expertise you want to assist you in carrying out your wishes. Tim Smith, a native of Webb, Iowa, graduated from Iowa State University with a Bachelors Degree in Agricultural Business. He moved to Storm Lake, Iowa where he started his career in banking. He returned to get his mortuary degree from the Kansas City Kansas Community College of Mortuary Science. Upon the completion of his degree, Tim and his wife Erin returned to Storm Lake where he has worked at Fratzke and Jensen Funeral Home. They are proud parents of four children, Bennett (2004), Avery (2006), Eden (2010), and Emerson (2012). Tim is involved in the Hy-Noon Kiwanis, serving on the planning committee for the Kiwanis Basketball Jamboree. 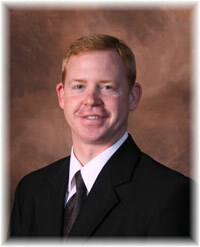 He has also been involved with the Storm Lake Jaycees, ISU Extension Council and Storm Lake Chamber of Commerce. He enjoys coaching his children in their sporting activities, playing basketball, and tuning in to Cyclone sporting events, Cubs and Vikings games. Erin Smith was born and raised in the Nemaha and Storm Lake areas. 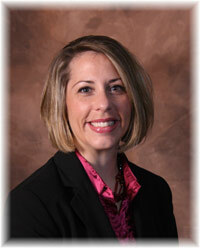 She graduated with a Bachelor of Science Degree in Nursing from Coe College in Cedar Rapids. Erin's responsibilities at the funeral home include part-time receptionist, bookkeeping, making custom folders and assisting with visitations and funerals. She also carries a life insurance license to assist with pre-need contracts, which enables patrons to secure their funeral expenses at a locked rate. Other interests include cantoring for St. Mary's Church, member of St. Mary's Guild as a circle chair, serves as a Sac City Chamber Main Street board member, and Storm Lake Friends of the Library board member. Marilyn works part time at Farber & Otteman making custom memorial folders, thank you notes and memorial books for each family to remember their loved one. Marilyn did office work and computer entry for Nobles Manufacturing and Simplot Soilbuilders in Sac City until they closed. 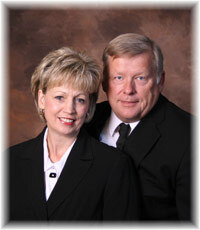 In 1998 she married Rick Dettmann who owns and operates Dettmann Trucking. Since he hauls long distance, working part-time is a nice fit, along with the bookkeeping that is required for his business. Marilyn is a graduate of Lytton High School and is currently a member of Emanual-St. John Lutheran Church of Lytton, where she has been active on the worship and music committee. In her spare time she loves to work in her flower gardens, go for walks with her dog Gus, ride her bicycle and especially spend time with her grandsons. Marilyn has two daughters; Shelley and her husband Don Rehm live in Sac City while Shannon and her husband Fred Kraft reside in New Boston, Missouri. Her grandsons are Derrick, Casey and Beau. Marvin "Jiggs" Janssen was born and raised a farm kid in Sac City, Iowa. He graduated from Sac City High School in 1953. A year after graduation, he married Macel Niceswanger and he began working for Farber & Otteman Furniture Store during the course of their lives together. He eventually took over the floor covering position and that evolved into ownership of the Montgomery Ward Catalog Agency, followed by Janssen Carpet. Following the closing of his business, Marvin began working as an agent for Farm Bureau Insurance of Sac City, before being transferred to Sioux City in 1964. In 1992, the couple moved back to their hometown of Sac City, where they presently reside. Jiggs is now semi-retired and helps out at Farber & Otteman with various funeral home duties. He is the 'go-to' guy, doing everything from working visitations/funerals, parking cars for procession, moving and arranging flowers and providing transport. "Jiggs" has four children: Janet Lewis of Norwalk, IA; Jerry Janssen of Sioux City, IA; Joni Rench of Norwalk, IA; and Jennifer Boland of Plano, TX. They enjoy their nine grandchildren and eighteen great-grandchildren. Jiggs also enjoys golfing and woodworking in his spare time. Joyce works part-time for Farber & Otteman. Joyce is a greeter and keeps the inside of the Odebolt location looking nice. She is a life-long residents of the Odebolt area as well as a graduate of the Odebolt-Arthur Community School system, as are her three adult children: Jeana (Boyd) and husband Chris of Clive, Iowa; Justin and his wife Amy of Waukee, Iowa and Jory of Sioux City. Joyce has five grandchildren: Carter, Haley, Austin, Hunter and Brooklyne. Joyce works for the Odebolt-Arthur School in the Food Service Department. She has been at Odebolt-Arthur for 31 years. She is a member of St. Martin's Catholic Church. In her spare time she enjoys spending time with her children and grandchildren, gardening, working in her yard and flowerbeds, walking and visiting family. Ruth Druivenga resides in Carnavon. She worked for Tom McCullough Law Firm in Lake View from 1960-1961 and worked as bookkeeper at Kelly Motors in Lake View from 1964-1966. She also worked at Farmers State Bank in Lake View from 1968-2001. Ruth's husband passed away in 1996. Together they have 3 sons, 3 grandchildren, and 3 great-grandchildren. She is a member of Immanuel Presbyterian Church in Carnavon and a member of Wall Lake Legion Auxiliary. She is now working part-time at UAP in Wall Lake. Ruth's duties at Farber & Otteman include keeping up the Lake View facility as well as hosting visitations.